Do you know what the most shattering thing in summers is? Especially when it is the month end? It is your favorite face powder hitting the bottom of the pan, that too within 2-3 months of usage. No, I didn't eat it up.. :P So after hitting the bottom, I am finally here with the review. It is a pressed powder that has been a staple for me this summer, a cult-favorite product and a MAC classic – the Select Sheer Pressed Powder. A lightweight pressed powder with a silky, natural matte finish and a soft-focus effect. The pressed powder comes housed in a sleek, round, black compact case with a mirror and puff inside. This is a easy to carry in purse and use for touch-ups throughout the day. I got this in NC20 for my skin tone. The best thing about MAC products, there is a shade for everyone. The powder is finely milled and silky smooth to touch. It absorbs the excess oil in a single swipe and gives a flawless matte effect. The mate effect never gives you a cakey look or powdery feel. It's so natural looking. The coverage is sheer-medium on me which is very natural looking. It is perfect as a base for a no-makeup-look. It also keeps me matte for a good 8+ hours. When worn over foundation, it just keeps my foundation from moving or getting shinny. Matte skin without looking too chalky. Keeps oil at bay for hours. Covers minor blemishes and imperfections. Light weight and easy to carry case. Mirror and sponge for easy touch ups. The quality of the puff applicator should be improved. This product is amazing and one of my favorites from MAC. I just love the soft, matte, natural finish it gives. Go for it if you want natural looking, glowy skin. This is one of the best light weight, light coverage powders that you will find in India. I just apply my moisturizer, top it with this powder to control the excess oil and I am ready for the day. Would always repurchase; just wish MAC doesn’t discontinue this product. See the FOTD below, I have only applied the MAC Sheer pressed powder on face. Have you ever used MAC Select Sheer Pressed Powder? If not, which is your favorite face powder? it is expensive but the quality you told makes me want to have it!! 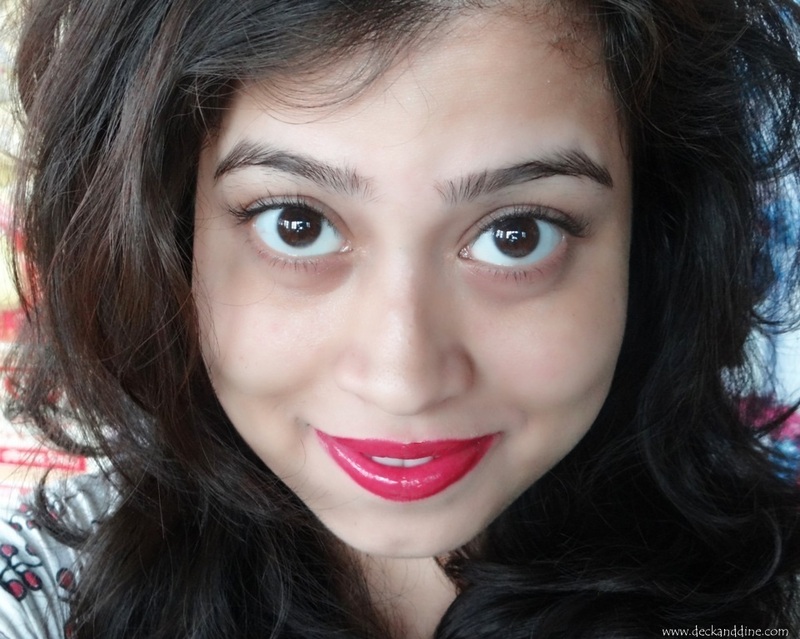 Madhubani you look so cute in this pic and that lip colour is just <3 Well, MAC products are costly so I haven't got that chance to try them, but this powder seems so good and natural :) :) Loved your detailed review dear. Never tried this one ...I so want to try this ! 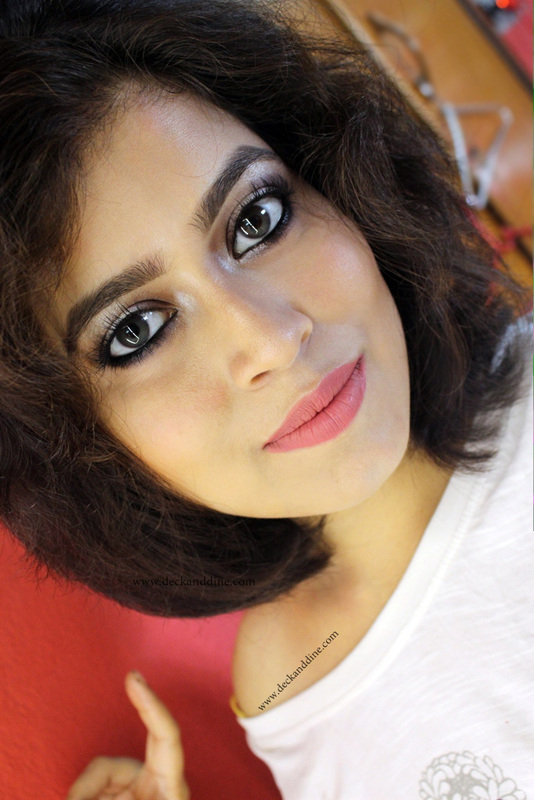 Abhi I am using Mac studio fix powder. Thanks for the review !